Visit www.meticulousmotorsinc.com for more details, follow us on FaceBook and Twitter thank you. 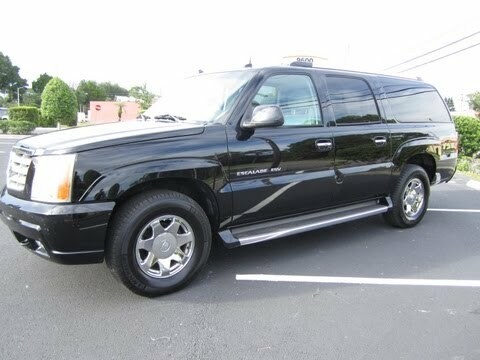 Up for sale is the most perfect one owner, no accident 2003 Cadillac Escalade ESV. This vehicle has always been serviced at the Cadillac dealership! All highway miles! Still smells brand new! Non-smoker, pet free vehicle. Comes loaded with full power options, brand new Michelin tires, third row seat, navigation, XM satellite radio, chrome package, and so much more. Come by and give this $60k beauty a new home!